This application was made under our old grant programme, but it would meet all three outcomes in the Accommodation/ Housing Support priority, as well as meet all three outcomes in the Help at a Critical Moment priority for our Improving Lives grant programme. The Albert Kennedy Trust (AKT) provides much needed support and accommodation to young LGBT people aged 16-25 who are homeless or at risk of homelessness. Many of them have suffered abuse, violence or rejection because of their gender identity or sexual orientation and have become estranged from their family and friends on “coming out”. AKT provides holistic support via their ‘Purple Pathway’ service which enables young people to find a safe and sustainable place to live and also supports them in regaining contact with family and friends. AKT also gives advice and guidance on health, finances, education and supports young people in gaining training to obtain work for further education. The aim is for young people to live safe and fulfilling lives. 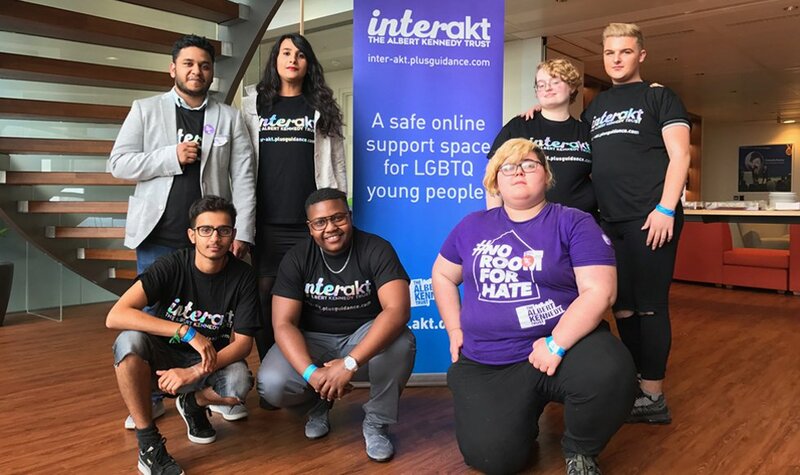 The grant from the Henry Smith Charity has enabled The Albert Kennedy Trust to employ a full-time Caseworker in London who has been able to assess the needs of young LGBT people who have been referred because they are homeless or vulnerably housed. The worker has planned and overseen the placement of those young people in to AKT’s Purple Door emergency accommodation and supported lodgings and then helped them to move-on to their own accommodation. He has planned and overseen the creation of mentor relationships for young LGBT people and has advised them on private renting options and credit unions. He has helped young people make applications to access a rent and deposit scheme that AKT provides, following assessment that their life skills are sufficient for them to live independently and manage a tenancy. Young LGBT people who are homeless or vulnerably housed often face additional barriers to support, and are at risk of experiencing homophobia or transphobia, so having dedicated support services available are vital to engage with and support young LGBT people appropriately. AKT’s young people are empowered via support from the Trust to make life choices which improve their life outcomes. In 2016/17 AKT provided a total of 6,075 nights of safe, supportive accommodation in the three cities where it works and it would not have been able to do this without the support of the Henry Smith Charity. In 2016 the AKT London Caseworker placed a young trans woman into supported lodgings accommodation. She had been sleeping rough and had been abused by passers by. She was picked up by the local No Second Night Out service and placed in emergency accommodation which consisted of just a mattress on the floor and shared bathroom facilities. She was referred to AKT and the caseworker did a lot of work with this young person on personal hygiene before she was found supported lodgings where she had her own room and a private bathroom which has been crucial to improve her well-being.